Both of my boys like backhoes and bulldozers. So of course that’s what she wanted to be for Halloween. After looking in many costume stores and online, we could not find a costume because they do not make them. The looks of my boys faces were very upsetting. 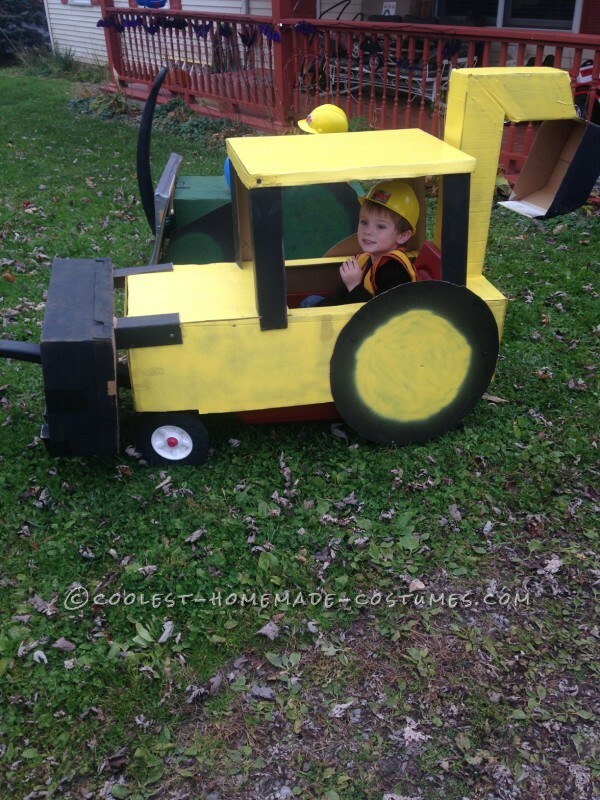 They were very disappointed that they wouldn’t be able to be a backhoe or a bulldozer for Halloween. I told my wife how hard could it be to make the boys’ costumes for trick or treat. She looked at me and laughed. She said “what do you know about making a costume, and how are you going to find the time to do it when you are working so many hours?” What did I know, I just wanted to make them happy. That night after the boys went to bed I sat down in the dining room table and started drawing up ideas on some notebook paper. 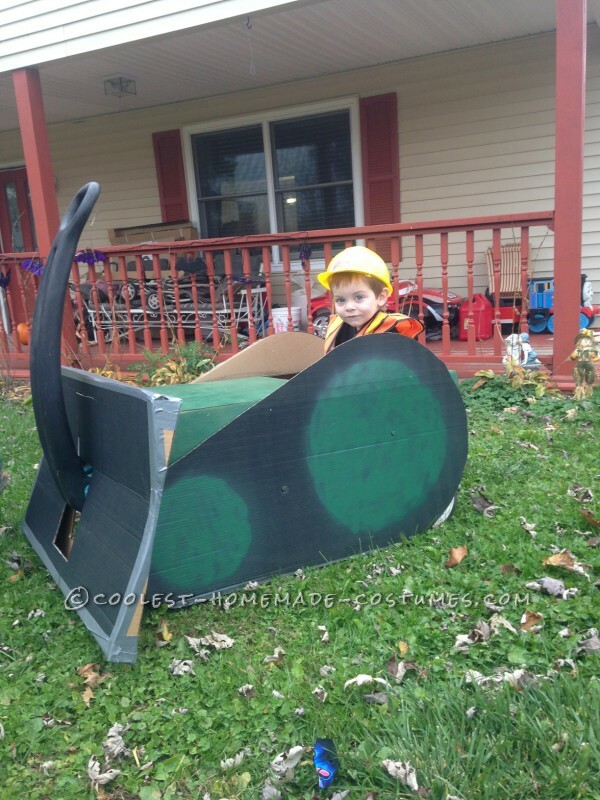 I came up with the idea of using my sons wagon and making the body of the costume out of cardboard. The next day I went to work and gathered all the scrap cardboard boxes that I could fit in my car and took them home. My wife looked at me and shook her head. For the next two weeks I worked 6AM – 5PM, Monday through Friday and then I would wait until the boys went to bed around 8 PM and work on them until around 11PM. In the meantime, my wife had no faith in me. She was looking online to get them other costumes. she didn’t think they would turn out the way I had planned. I talked her into getting them orange vests and construction hats. About one week before trick or treat I had them almost done. They just needed paint and some fine tuning. After the paint job and a few hours of letting it dry it was time to show the boys. She went in and walked them out. They loved them. On trick or treat my wife made a bet with me that no one would know what they were. I think I won, lol. At least 15 houses took my boys’ pictures and said that it was a very cute idea. I lost count of the people’s comments as we walked down the road to the houses. When it was all said and done, I had a win-win situation. My boys were very happy and I got to prove my wife wrong.